Designer by training, and developer by curiosity, Jeanna is a UX consultant for international agencies and startups. An advocate for designing with both the user and development in mind, she leads workshops on design systems, component and pattern libraries, and user research methodology. When not in glued to her computer screen, she's probably trying to find her dog (#whereismaggie), exploring a new Kiez by bike, or brushing shoulders and swapping business cards at one of Berlin’s many tech events. at Foursquare in New York, she explores the relationship between media, technology, and the human element. She is a huge believer in how design, code, and storytelling can synthesize into meaningful and intuitive products and services. She has crafted digital experiences for global brands, organizations, and tech companies such as Puma, Red Cross, and LG electronics. When not designing experiences, she paints, takes pictures and experiments with creative writing. Anita Heiberg is a fashion designer focused on the convergence of design, sustainability and technology; which she achieves through her fashion crowdsourcing platform, 13Dresses.com. As well as, collaborations with Stromnetz Berlin, Galeries Lafayette, Euro-African business development group; FA254 and fashion analytics research body; the European Institute of Participatory Media (EIPCM). Anita volunteers as co-host of the Berlin Geekettes Monthly Meetups. As a former mentee of the Geekettes Mentorship program, she credits her success in Berlin with the contacts she’s made through the program and now gives back as a mentor. Irina is a Communications specialist currently making her way through the Berlin start-up scene as PR & Events manager for contentful.com. 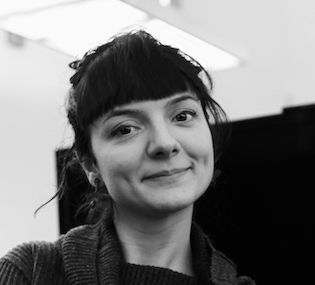 Irina became a team member of the Berlin Geekettes in 2014 as part of the organizing team of the Geekettes Mentorship Programme. She strongly believes that education, access to information and community support are the best tools to empower others. Therefore in 2008 she became a certified trainer, focusing on public speaking and body language, and in 2010 she co-founded a non-profit organization which offers students the possibility to improve their soft skills. Lisa was raised in a Franconian craftsman family, studied Arts, New Media as well as international business management and lived and worked all around the word. In the almost ten years of her career in the IT industry, she’s gained a reputation as a digital information technology and new media game changer. Now Lisa is blending all her experiences with her agency for bespoke wearables technologies, ELEKTROCOUTURE.com, and has been named one of the top 100 most influential people in wearable tech worldwide. She has been helping our community grow from the beginning and is a glowing inspiration to us.